I enjoyed meeting Jim Cunningham at the Greenville Symphony Rehearsal yesterday. He was the guest narrator for “Playing with Style” at the Greenville Symphony Concert yesterday afternoon. 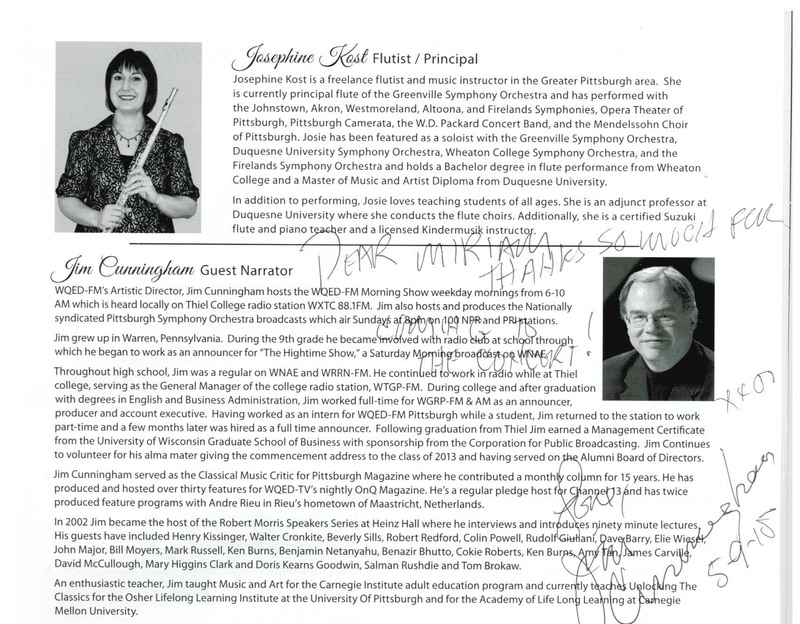 This entry was posted in concert, performance, recital and tagged autograph, Greenville Symphony Orchestra, WQED. Bookmark the permalink.